We don’t want to go home! What an amazing unforgettable week at Netzer workshops, tiyulim, Israeli folk dancing, games, competitions and Jewish study, all in one camp! On the last day, we all cried (even the boys!) because we didn’t want to say goodbye. We went home with wonderful memories and want to thank everyone who helped make this camp possible from the bottom of our hearts. We want to go back to camp! Thanks to young people such as Daria and Ksenia, the remnants of the Jewish community are connecting with their heritage. Not only did Gomel have a seder, the community paid for it itself. … the Spanish Jewish community is recalled to life. Within the past five years, an increasing number of Spaniards brought up as Catholics, have discovered that they have Jewish roots— descendants of Christian conversos [Bnei Anussim]. Many were told by their mothers or grandmothers that they had Jewish ancestors who practiced Jewish traditions such as lighting candles on Friday evening, abstaining from eating pork, fasting on Yom Kippur. They approached the European Union for Progressive Judaism communities located in Barcelona, Madrid, Alicante, Asturias, La Coruna, Cordoba, wishing to have their Jewish status affirmed. Following several years study with rabbis and teachers they underwent conversion at the European Bet Din (rabbinic court). Over 50 individuals were converted at the European Bet Din in Barcelona in 2011 and 2012 and many more conversions are planned for 2013 and 2014. Because of the work of the World Union, Progressive Jewish life is stirring in the Iberian Peninsula. The Jewish community in Chile is thriving. 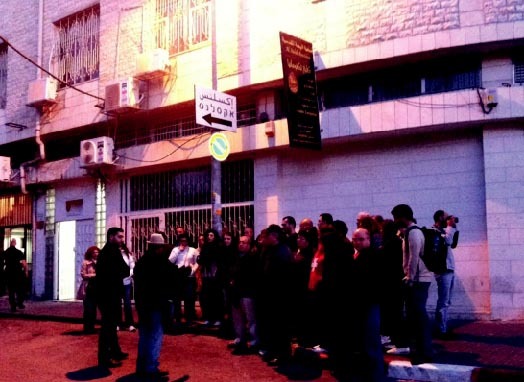 One of the newest Progressive Jewish communities in Latin America is Ruaj Ami congregation in Santiago, Chile. Over the past few years Ruaj Ami has grown to nearly 100 family units with over 600 worshippers expected for the upcoming High Holiday services. Ruaj Amis tremendous success derives from the spiritual leadership of Rabbi Haim Koritzinsky who brings a warmth and sense of community which attracts new members, many with young children. Ruaj Ami is unique as it is the only egalitarian congregation in Santiago a community of over 15,000 Jews. 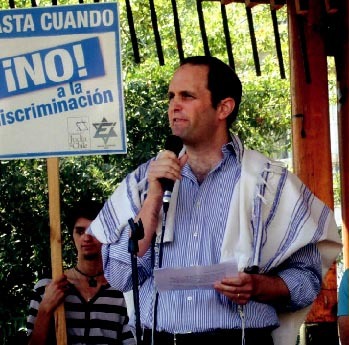 Ruaj Ami is poised to become a leading Jewish community in Chile. You and every member of the World Union family are invited to visit whenever they are in Chile. In Jerusalem, the home of the WUPJ’s World Headquarters, we reached out to thousands of Israeli families from all walks of life. They participate in educational programs and reconnect with Jerusalem’s history and traditions which are a vital part of their cultural heritage, through a broad range of topics related to Judaism, Jerusalem, equality, pluralis, and co-existence. While Jerusalem is culturally diverse, there have been tensions that continue to plague the land of our heritage. Through walking tours, experiential workshops, dynamic classes and cultural exchange programs, the WUPJ actively works for tolerance and understanding for all Israelis. Please fill out this form to share "Your gift will allow us to" via e-mail.